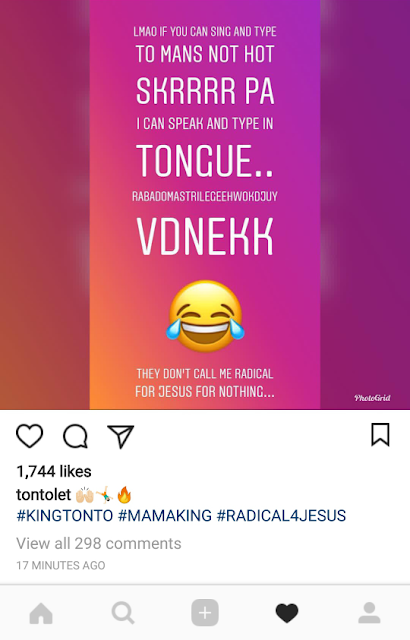 Speaking in Tongues?! 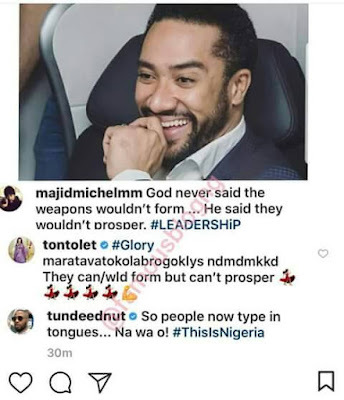 No Tonto Dikeh now writes in tongues! 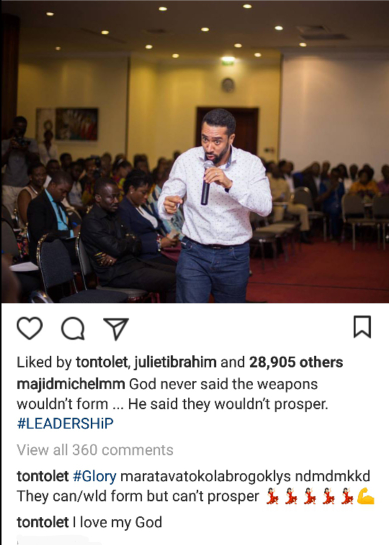 These days you really have to be sure of what your faith entails so as not to be sucked into all sorts..
She even went on to defend herself..